Felicia was born and raised in Warren County, NJ, and from a young age was bitten by the horse bug. 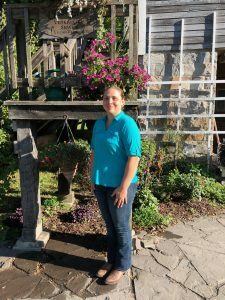 Starting in 4-H and as a working student for various trainers in the area, she soon became a trusted full time farm hand and caretaker. Felicia has done a little of everything when it comes to riding; starting off on a mule who she trained in a variety of disciplines, to leasing dressage schoolmasters and greenies, and finally ending up with an OTTB whom she rides predominantly with the hopes to compete in 3-day eventing with. 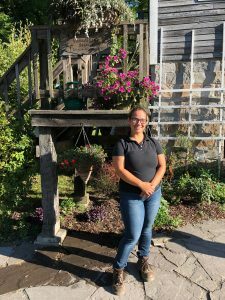 Formal education began by gaining an associates in Biology, and a summer working at a small animal clinic before heading to Rutgers to obtain her Bachelor’s in Animal Science. Felicia came home to join Cross River and fulfill her passion for caring for horses. When she’s not at work, she’s spending time with her menagerie of dogs and cats, usually up to something adventurous! Laurissa grew up around horses and worked at a boarding farm upon graduating from high school. She started her career as a veterinary assistant at a small animal practice in 2015 and joined Cross River three years later. In her spare time, Laurissa enjoys spending time with her husband and family as well as their Doberman and two cats. She also provides local pet-sitting services and sells Mary Kay cosmetics on the side. Gina grew up in Florida and Virginia and moved to PA in 1978. Her passion for ALL creatures was passed down from her father. She has been involved with horses for the last 50 + years (yikes!). 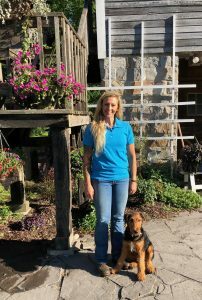 She worked as a receptionist/ technician for small animal practices in VA and PA for 12 years before joining Cross River Veterinary Service in 2002 to manage the office. She truly enjoys being there to take care of all your horses’ needs. When not at work, she enjoys spending time with family, going to church, hiking, gardening, and taking care of all her animals: 3 horses, 1 donkey, 2 dogs, and several cats. Bonnie worked for the State of New Jersey/ Warren County for 37 years prior to starting part time for Cross River in March 2010. She and her husband own a small farm in Bangor, PA where she keeps an assortment of critters. She also fosters dogs and cats in her spare time. Amy grew up across the river in New Jersey and has owned horses most of her life. Prior to joining Cross River Veterinary Service, Amy spent 15 years working in Corrections. Here, she is in charge of taking care of our resident horses as well as keeping the facility ready for and assisting with haul-in cases. In her spare time, Amy enjoys spending time with her husband Frank, their four grown children, and their two dogs, three horses and one mule. She and her husband can frequently be found trail riding or enjoying motorcycle rides.